Capture a feeling of sophisticated elegance with this elegantly designed Christian Dove Ring. This exquisite piece from Apples of Gold features a open cut design for the Christian dove, making this ring light and airy. The bird's silhouette flows seamlessly in the band, which is polished for a golden glow. Forged of the finest 14K yellow gold, this ring shines with beauty from the simple, clean band to the charming, open cut dove. 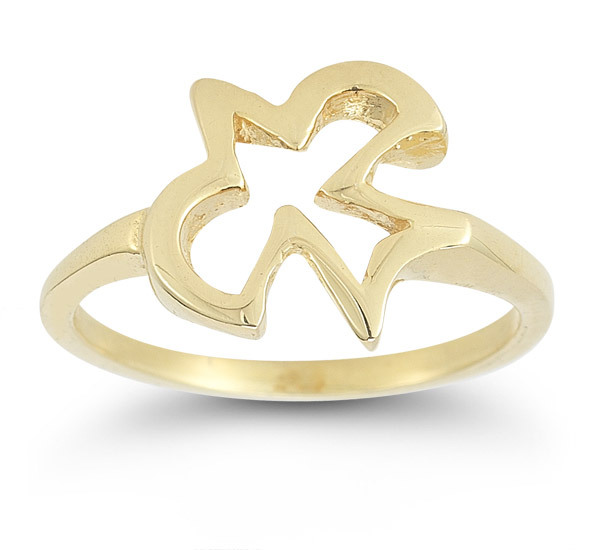 We guarantee our Christian Dove Ring in 14K Yellow Gold to be high quality, authentic jewelry, as described above.